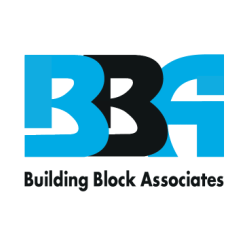 Building Block Associates is committed to adding value to our customer's food products. Our great tasting fresh produce is grown in Canada, without the use of chemical sprays or synthetic fertilizers. Additionally our seasonal produce are hand-picked at the optimal time for taste and durability during shipping. We specialize in supplying our customers with large amounts of the fresh Canadian produce they need to make their products and keep prices competitive. Also since we partner with growers across Canada, our customers get the freshest and tastiest Canadian grown fruit and vegetables possible at time of delivery. If you don't see what you are looking for please contact an account manager and we will be happy to source it for you. With year-round availability, we also offer frozen fruit and vegetable options as a convenient solution for our customers. The Conference Board of Canada has stated in a report titled Canada's Growing Appetite for Local Food that "Local food is often linked to health and nutrition benefits, largely because of the association between local food and fresh produce. Along with fuelling consumer support for local food, the potential health benefits of local food have motivated governments and non-governmental organizations (particularly in those focused on health and food security) to promote it." This is because food shipped into Canada from far away places has a higher risk of becoming contaminated which leads to food recalls and distrust among consumers. As interest in Canadian grown food continues to surge now is the time for food manufactures to start adding Canadian grown fruits and vegetables to their supply chain. To find out more about how we can add value to your food products with our fresh Canadian fruits and vegetables, please fill out the form below or call for more details. Please provide the name of your foodservice business. Please enter the business address of your foodservice business. This address will be used for all deliveries.